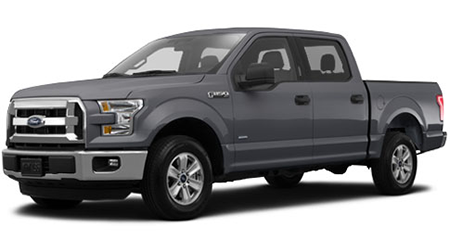 Considering a used Ford F-150 is a good decision when you’re looking into purchasing a high-performance pickup truck. When you go with a used option, you can save yourself some money while still driving home in the vehicle you are looking for. For a great selection of used F-150s, head over to Woody Folsom Ford, serving Savannah, Valdosta, Brunswick, GA, and Jacksonville, FL, where you will find a great deal on one today! If you’re looking for a used F-150 that will fit your budget, then purchasing a used one is the way to go. This powerful truck offers a V6 or V8 with 6-speed automatic transmission. Standard features vary slightly by model and include AM/FM stereo with CD player, air conditioning, productivity screen, auxiliary jack, tilt steering wheel, outside temperature display and more. If you’re looking to purchase a used Ford F-150 but are worried about what you might get, then go with one that is a Certified Pre-Owned (CPO) vehicle. Ford CPOs are held to a high standard so you can rest assured knowing that your vehicle has been thoroughly inspected. In order be considered a CPO Ford, the vehicle must be 6 model years or newer and not have more than 80,000 miles actual miles on the odometer. If the vehicle qualifies, it will then be put through a 172-point inspection by a factory-trained technician. You will also receive a CARFAX vehicle history report to sweeten the deal. When it comes to Ford, you know that the Certified Pre-Owned F-150 comes with a great warranty. You’ll get a 12-month/12,000-mile limited comprehensive warranty that covers just over 500 different components on your Ford. To protect major parts such as the engine and transmission, there is a 7-year/100,000-mile limited powertrain warranty. When you come in for warranty work, you will be responsible for a $100 deductible. Ford also offers you a few little extras such as 24-hour roadside assistance and if your vehicle is properly equipped, three months of Sirius XM Satellite Radio! You can find out immediately if you are pre-approved for a used Ford F-150 when you visit our website. Just fill out a secure online form and click submit, and you will receive a decision right away. We have access to plenty of money from our lenders, so even if you have less than perfect credit, our team may be able to help you! Drivers in Savannah, Valdosta, and Brunswick, GA, as well as those in Jacksonville, FL, who are interested in a used Ford F-150 should visit our Woody Folsom Ford lot today to take a look at our selection. Let us help you find the perfect vehicle for you!